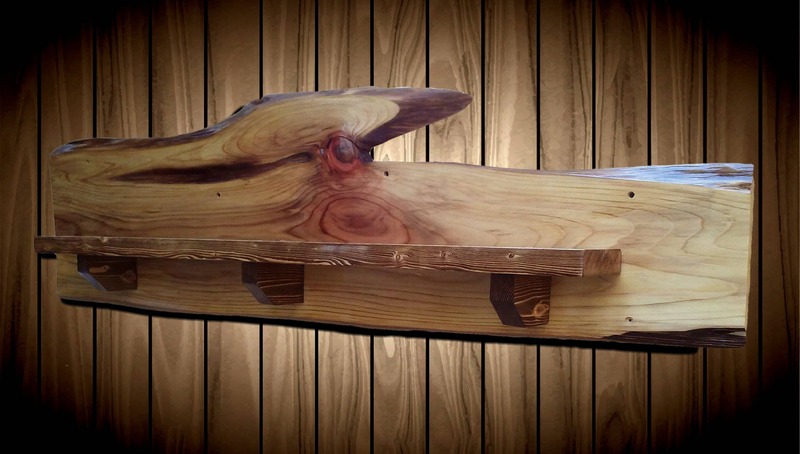 A Beautiful Piece of Live Edge Cypress Back With Thick, Spacious, Stained Pine Shelf Supported by Traditional Supports. 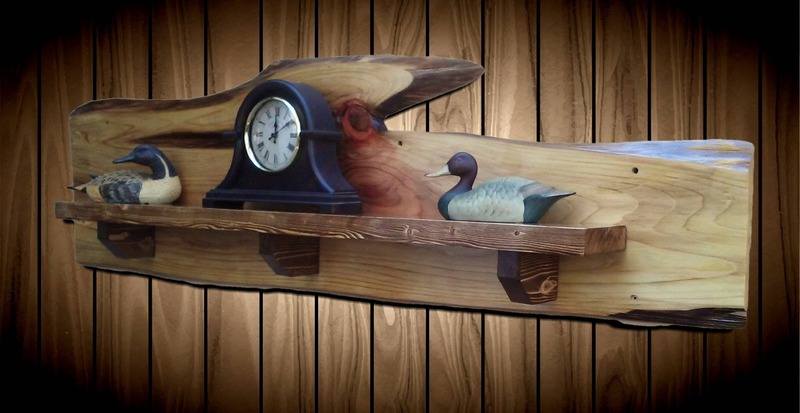 A Wonderful Fireplace Mantel or Just a Rustic Shelf. Made Of An Old Rare Michigan Cypress Tree That Grew Next to a School. Had to be Removed for Additions. Now Reclaimed Into A Real Work Of Art. Two Coats of Tung Oil On The Back Keeping It Preserved Much Longer. Three Coats Of Polyurethane Applied, Sanding Between Coats. Hand Rubbed Furniture Wax Applied, Leaving A High Gloss Final Finish. Thick, Traditional Style Shelf Brackets. Six Mounting Holes Drilled On 16” Centers. Comes With Wall Anchors Screw Caps and Screws. 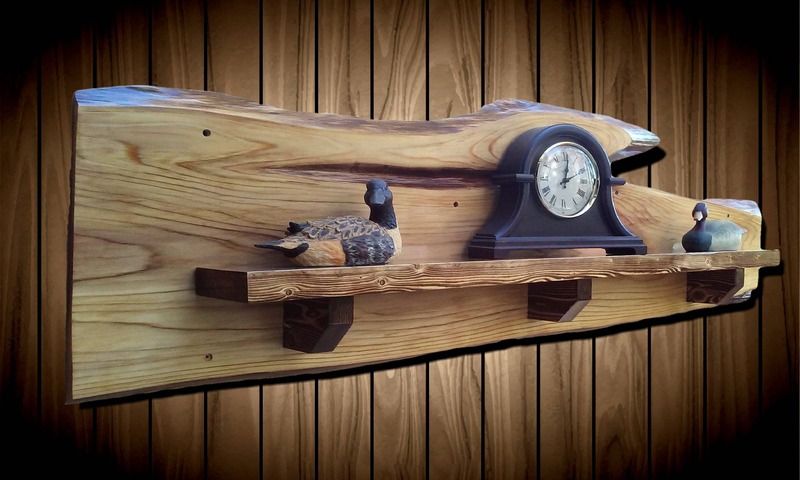 Handcrafted Cabin Décor, Rustic Style Gift Shop. Uniquely Made Items with careful attention to detail and quality. We strive to make every item unique and individual. A true one of a kind piece. Our items are intended to last generations. Pass one down to yours.